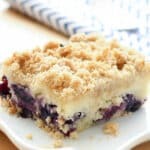 Blueberries and lemon combine in a coffee cake that is worthy of any occasion. 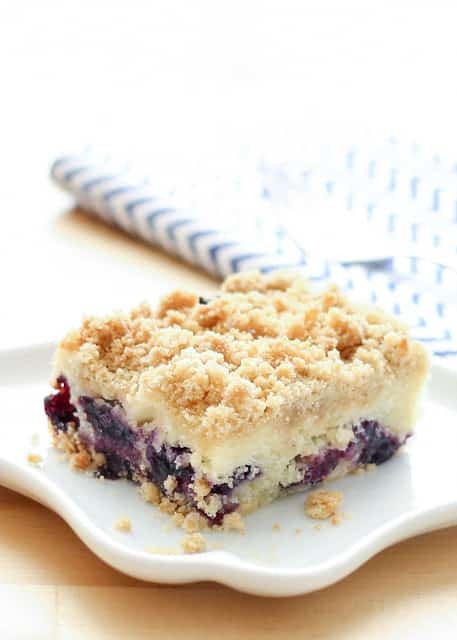 I have a huge grin on my face today and I am positively giddy to tell you that this cake, this fantastically moist, perfectly sweet blueberry coffee cake with a hint of lemon, is the best blueberry coffee cake I have ever tasted. I am so happy with this cake, I practically danced across the kitchen after I tasted it. I ate a slice of this cake right after I finished photographing it this afternoon and I ate another slice after dinner. Do I even need to tell you what I’ll be eating for breakfast tomorrow? This is a dangerous kind of awesome, my friends. 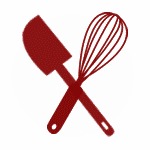 Check out all of the Gluten Free Dessert Recipes on this website! Preheat the oven to 350 degrees. Grease an 8" square pan with butter. Beat the butter and the sugar together until light and fluffy, about 6-7 minutes. Stir in the vanilla, lemon zest, lemon juice. Add the eggs one at a time, mixing just until combined. Combine the flour and baking powder in a bowl. Place the blueberries in a small bowl and sprinkle with a couple tablespoons of the dry ingredients, stir gently to coat the berries. Add half of the dry ingredients to the mixing bowl and stir to combine. Add the sour cream, mix again, and add the remaining dry ingredients. Mix just until combined. 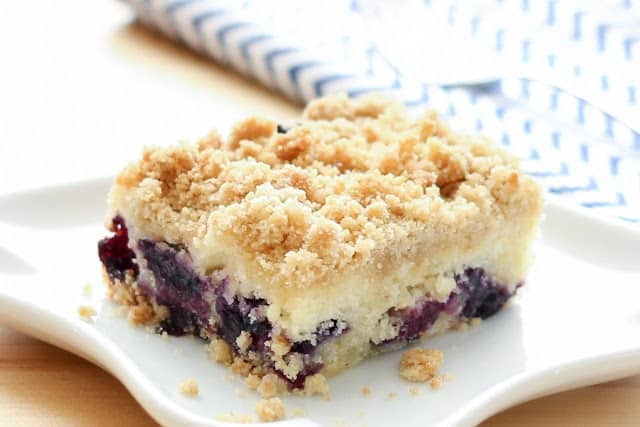 Gently stir in the blueberries and pour the batter into the prepared pan. Place the flour and sugar for the topping in the same small bowl that was holding the berries and add the melted butter. Stir lightly with a fork to combine. Sprinkle the sugary crumbs over the batter in the pan. Bake for 40-45 minutes, until a toothpick comes out clean or with moist crumbs. Let cool before slicing. Enjoy! GLUTEN FREE ALTERNATIVE: Substitute 2/3 cup brown rice flour, 1/4 cup tapioca starch, 1/4 cup potato starch, and 1/2 teaspoon xanthan gum for the all-purpose flour listed in the recipe. What are your thoughts on using apples instead of blueberries? I've never tried that myself, but it might work. If you decide to try it, let me know what you think. Yes, frozen berries will work fine. I did make a gluten free version and it came out very good! I used King Arthur gluten free blend instead of the various ingredients listed for gluten free and it worked just fine! I did ct back on the sugar, used 3/4 cup instead of 1 cup (diabetes, both husband and me) and, I probably should have reduced the amount of lemon juice because it was a bit stronger than I'd like. Nobody else mentioned the strong lemon flavor so I guess it's a matter of personal choice! It was delicious and a real treat for those of us on severely restricted diets! Delicious. I doubled the recipe & made 9X13 pan. Tripled the topping and put a handful of sliced almonds on top of batter before adding topping. Entire pan gone this morning at work. Thanks for sharing your recipe. I wish there was a picture of the crumb topping before the cake was baked. I didn't have crumbs The warm melted butter mixed with sugar And flour made a goopy texture on the cake. It did not bake thoroughly. Is 1 cup of flour enough?